Save time money and effort with purpose made Tork disposable wipers and cloths. 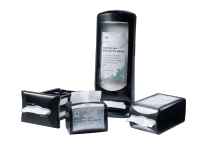 Tork wipers are hygienic, durable and with our many dispensing options, are close at hand when needed. When you want quick and efficient ways of dealing with your wiping, cleaning, polishing, or sanitizing needs, Tork has the perfect products for you.